Ankara Atatürk Anadolu Lisesi’ni 1988’de, Ankara Üniversitesi Tıp Fakültesi’ni 1994’de bitirdi. 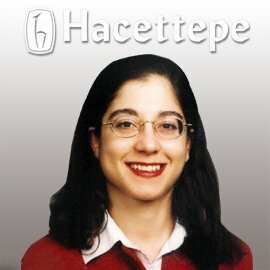 Uzmanlık eğitimini, Hacettepe Üniversitesi Tıp Fakültesi Tıbbi Mikrobiyoloji Anabilim Dalı’nda 2001 yılında tamamladı. 2001-2002’de 6 ay süreyle San Francisco Kaliforniya Üniversitesi’nde tüberküloz immünolojisi üzerine çalışmalar yaptı. 2011 yılında doçent oldu. Tüberküloz ve serolojik testler ilgi alanlarıdır. 1. Aygün C, Özen H, Kocagöz T, Sarıbaş Z, Akı T, Tekin İ. Induction of Mycobacteremia by intravesical Bacillus Calmette-Guerin instillation in an experimental animal model and detection with polymerase chain reaction. The Journal of Urology, 2000, 163:1588-1590. 2.Sarıbaş Z, Kocagöz T, Alp A, Günalp A. Rapid detection of rifampin resistance in Mycobacterium tuberculosis isolates by heteroduplex analysis and determination of rifamycin cross-resistance in rifampin resistant isolates. Journal of Clinical Microbiology, 2003,41:816-818 3.Yorgancı K, Baykal A, Koloğlu M, Sarıbaş Z, Hasçelik G, Sayek İ. Endotoxin challenge causes a proinflammatory state in obstructive jaundice. Journal of Investigative Surgery, 2004, 17:119-126. 4. Sarıbaş Z, Yurdakul P, Alp A, Günalp A.Use of fluorescence resonance energy transfer for rapid detection of isoniazid resistance in Mycobacterium tuberculosis clinical isolates. International Journal of Tuberculosis and Lung Disease, 2005, 9:181-187. 5. Zozio T, Allix C, Günal S, Sarıbaş Z, Alp A, Durmaz R, Fauville-Dufaux M, Rastogi N, Sola C. Genotyping of Mycobacterium tuberculosis clinical isolates in two cities of Turkey: Description of a new family of genotypes that is phylogeographically specific for Asia Minor. BMC (BioMed Central) Microbiology, 2005, 5:44, doi:10.1186/1471-2180-5-44 6.Kocagöz T, Sarıbaş Z, Alp A. Rapid determination of rifampin resistance in Mycobacterium tuberculosis clinical isolatesby real-time PCR. Journal of Clinical Microbiology 2005, 43: 6015-6019. 7. Sarıbaş Z, Tunçkanat F, Pınar A. Prevalence of erm Genes encoding macrolide-lincosamide-streptogramin (MLS) resistance among clinical isolates of Staphylococcus aureus in a Turkish university hospital. Clinical Microbiology and Infection 2006, 12:797-799. 8.Çakmak A, Çirpanli Y, Bilensoy E, Yorgancı K, Çalış S,Sarıbaş Z, Kaynaroğlu V. Antibacterial activity of triclosan chitosan coated graft on hernia graft infection model International Journal of Pharmaceutics2009, 381:214-219. 9. Bozdag G, Alp A, Sarıbaş Z, Tuncer S, Aksu T, Gürgan T. CYP17 and CYP 19 gene polymorphisms in patients with endometriosis. Reproductive Biomedicine Online 2010, 20:286-290. 10. Sarıbaş Z,Şener B, Haznedaroğlu İC, Hasçelik G, Kirazlı Ş, Göker H. Antimicrobial activity of Ankaferd blood stopper against nosocomial bacterial pathogens Central European Journal of Medicine 2010, 5:198-202. 11. Yüksel ZS, Büber E, Kocagöz T, Alp A, Sarıbaş Z, Açan NL. Mycobacterial strains that stimulate the immune system most efficiently as candidates of bladder cancer. Journal of Molecular Microbiology and Biotechnology 2011, 20:24-28. 12. Orhan B,Büber E, Keskin MS, Çelikbıçak Ö, Salih B, Alp A, Sarıbaş Z, Özen AH, Açan NL Terapeutic effects of Mycobacterium phlei cell wall extracts. Turk J Med Sci 2012; 42: 1010-1235 13. Kısa O, Tarhan G, Gunal S, Albay A, Durmaz R, Sarıbaş Z, Zozio T, Alp A, Ceyhan İ, Tombak A, Rastogi N.Distribution of Spoligotyping Defined Genotypic Lineages among Drug-Resistant Mycobacterium tuberculosis Complex Clinical Isolates in Ankara, Turkey. Plos One 2012; Volume7, issue 1, e30331 14.Sarıbaş Z, Yurdakul P, Çetin-Hazırolan G, Arıkan-Akdağlı S. Influence of serum on in vitro susceptibility testing of echinocandins for Candida parapsilosis and Candida guilliermondii. Mycoses 2012; 55:156-160 15.Hazer DB, Mut M, Dinçer N, Sarıbaş Z, Hazer B, Özgen T. The efficacy of silver-embedded polypropylene-grafted polyethylene glycol-coated ventricular catheters on prevention of shunt catheter infection in rats. Childs Nerv Syst 2012; 28:839-46 16.Sarıbaş Z, Ergün H, Mamuk S, Köseoğlu-Eser Ö, Melli M. Critical appraisal of air pouch infection model in rats. Ann Clin Lab Sci 2012; 42:50-56. Yurtdışı Deneyim / Eğitim 2001-2002’de 6 ay süreyle San Francisco Kaliforniya Üniversitesi’nde tüberküloz immünolojisi üzerine çalışmalar yaptı.